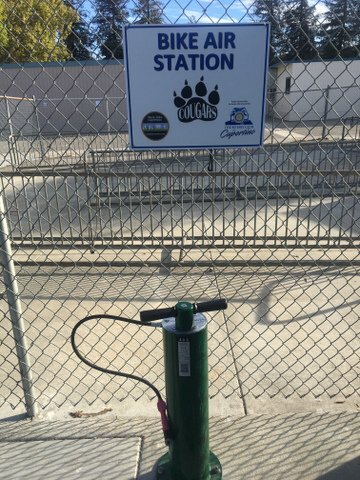 Thanks to Cupertino Rotary, Walk-Bike Cupertino, Google and Western Wheelers, Cupertino Middle schools now have the Dero air pump stations installed at or near their each schoolo’s cages. The schools include Cupertino, Kennedy, Lawson, Miller and Hyde Middle Schools. The heavy duty systems handle both schrader and presta valve systems. 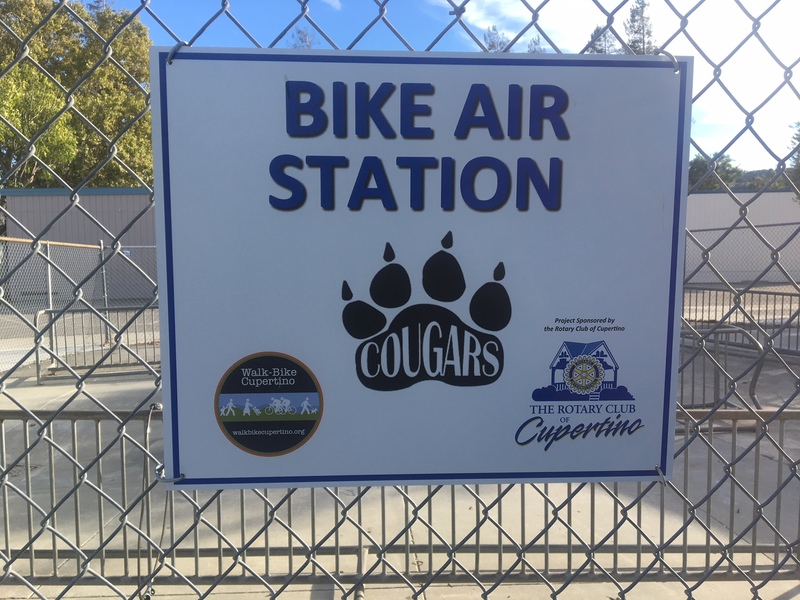 Principal Mike Cellini at Cupertino Middle spoke about the the high number of students riding their bike to school this year and the shortage of bike racks – a great problem to have! 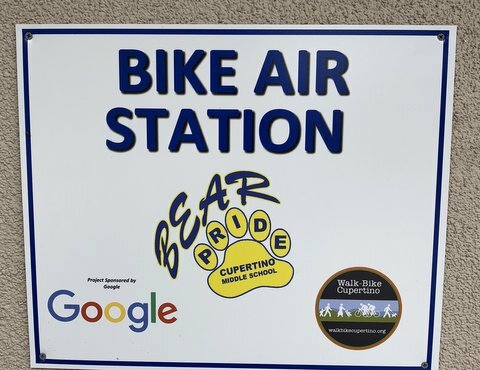 Since 2016, in partnership and funding from the Rotary Club of Cupertino, Walk-Bike Cupertino has installed bike repair stations at 5 Fremont Union High School District schools, 5 Cupertino Union School District middle schools and DeAnza College.